About AWL House Washing We understand that exterior house cleaning needs to be approached with all the care and job specific skill that interior cleaning requires. AWL has been operating on the North Shore and the greater Auckland area since early 2003 and is 100% family owned and operated. When it comes to providing quality house washing services, we pride ourselves on offering the best possible solution and services for the Auckland marketplace. With growing concerns about environmental issues and the risk of potential property damage from powerful bleach-based products, it became clear that many homeowners would prefer to remove those risks. AWL House Washing Services Strive For Excellence Providing exceptional customer service is the foundation upon which our company is built. Our commitment to excellence is clearly evident and we are not satisfied unless you, our valued customer is totally satisfied. 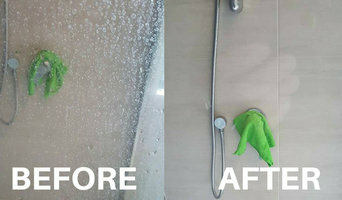 Trust AWL and experience the ultimate house washing services in action. The quality of our service is second to none. 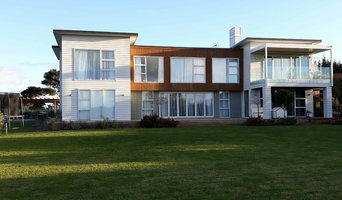 A well-established company servicing all your exterior property cleaning needs in Auckland, AWL House Washing Services has proudly served Auckland property owners for over 10 years. Providing high-quality house washing services by catering for all varieties of materials, we approach each property differently to ensure the best practice and best result is achieved. Different surfaces require different techniques and we’re happy to explain the process prior to commencing your job. Specialised Surface Coatings cleans your glass, concrete, paving and tile surfaces back to perfect condition and then treats them so they stay that way, without you ever needing to clean them again. Because our treatments make surfaces easier to clean, you spend less time and money cleaning them. We stand by our claims with a 7 year warranty. Being one of the few services out there that look at each and every single client as special, we at NZTS are much quicker to adapt to the nature of the job and provide specific advice accordingly. Firstly, our initial examination of your roof will be as thorough as possible in order to come up with the perfect solution for the problem at hand. When it comes to the aspect of roof washing in Auckland, you will be hard pressed to find a more experienced and reliable service on the whole. Do not hesitate to give us a call today. 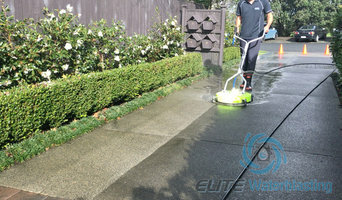 Elite Waterblasting is a all-round cleaning services company which does waterblasting in North shore, Auckland. They deal in gutter, windows & roof cleaning in Auckland as well as decks and house cleaning in Auckland. They are believed to do the best house washing in North Shore, Auckland because they use effective yet non harmful chemicals to ensure your safety and the safety of your family members. 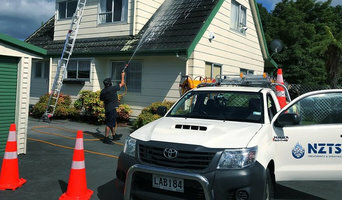 There are many companies that do water blasting in Auckland, but none can be compared to Elite Waterblasting. They have experienced professionals who believe in cleaning the smallest of corners to eradicate all the harmful bacteria and encourage a happy and healthy life. Their team is filled with strict professionals who understand the importance of keeping the house & surroundings clean, which encourages them to work towards a cleaner and healthier neighbourhood. A clean house leads to a healthy future and a healthy future leads to a happy life. Sincerity and efficiency. Always at your service and at affordable prices. Bull18 Movers auckland is one of the Auckland based New Zealand company specialize in housing moving,office moving,corporate moving,and all moving services since 2002.With specialize service and trained manpower company has earned a huge list of satisfied clientele within New Zealand. Is your carpet so worn out and dirt-ridden that you are probably thinking of purchasing another one? Well, you don’t have to. The best carpet cleaners are only one phone call away on 03 741 4465. We are the most experienced rug cleaning experts within Christ Church and its environs. Our team of qualified professionals always show up on time. We come armed with strong, eco-friendly detergents ready to deal with the most stubborn of stains, dirt and foreign objects. Give us a few hours with your rug and it will look as though it just came out of the retail store. Our combination of skilled experts and high-tech equipment enables us to deliver services within a very short time. Other services offered by the company include mattress sanitization, carpet patching and upholstery cleaning. We know what to do and the best way of doing it. The increasing number of satisfied clients is testimony enough of just how reliable we are. No other company can give you such high standards of cleaning and still retain the affordable rates our company is offering. Take a peek at our website at <a rel="nofollow" target="_blank" href="http://www.carpetcleaners-christchurch.com/">http://www.carpetcleaners-christchurch.com/</a> and leave us your details and requirements so that we can process a free quotation for you. Left to face the elements alone, these properties tend to look unsightly, and require expensive external repairs more often than those with a well maintained exterior. Here at EP Services we keep Auckland’s residential and commercial buildings in tip-top, sparkling condition, using the latest in professional outdoor cleaning equipment. We pride ourselves on our customer service, and will travel anywhere within the Auckland region to give you a no obligation, free quote. We offer professional window cleaning services using environmentally friendly products for residential and commercial properties in Auckland central and the city’s inner suburbs. We have been operating in this industry for many years in Auckland and our quality services are appreciated by all our customers. All our employees have the necessary skills and experience to deal with all kinds of carpet stains and dirt. We also clean upholstery, deodorize mattresses and offer specialized rug cleaning services. We also offer full carpet repair services and flood damage restoration at very pocket friendly prices. To talk to us, simply call the number 09 950 7177 or simply visit our website at <a rel="nofollow" target="_blank" href="http://www.carpetcleaners-auckland.com/">http://www.carpetcleaners-auckland.com/</a> to get a free quotation. Our company is made up of a team of qualified and well-mannered personnel who specialize in the cleaning and repair of carpets and upholstery. We use the latest technology and materials when it comes to our cleaning and repair services, which ensure quality results that are unmatched anywhere in Wellington. We do realize that stubborn stains can be hectic to remove especially when you do not know exactly what to use. The use of wrong chemicals and cleaning techniques may end up spoiling your rugs, carpet, and upholstery. That is why you should leave the toughest stain removal jobs to the experts who will not disappoint. Our prices are the best in the market, and this does not compromise on the quality of our work. In addition to carpet cleaning, we also specialize in mattress sanitizing, flood damage repair, and stain removal services. In case that carpet that you value so much is torn or needs repair, then worry not, we will have it looking as good as new within no time. For more information about us and the services that we provide, clients can visit our website at <a rel="nofollow" target="_blank" href="http://www.carpetcleaning-wellington.com">http://www.carpetcleaning-wellington.com</a> Also, for any inquiries, comments, or to book our affordable services contact us on 04 887 1081 and leave the rest to us. Welcome to RQ Roofing LLC, the only roofing contractor in Madison, WI that fits your budget while doing the best work on your roof you could possibly ask for. Carpet cleaning does not have to be stressful and tedious. Not when the best rug cleaners are within your reach. We are a licensed group of qualified, experienced, skilled, and friendly professionals. Our areas of expertise include stain removal, carpet repair, flood restoration, mattress, and upholstery cleaning. Jobs that we have been doing for the past 20 years and still counting. Today the company has employed enough experts to satisfy the needs of our growing clientele in Auckland and its surroundings. We have also purchased a good number of fully equipped mobile units and stationed them strategically to provide us with fast and easy access to clients. We always maintain a high level of professionalism when dealing with customers. All our transactions are transparent, and there are no hidden costs in the pricing. In fact, a no obligation quotation is provided to each client upfront so that he/she knows exactly what they will be paying for. It takes us a very short time to get your carpet looking fresh and new. 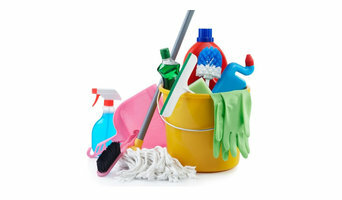 We use the latest cleaning methods which are efficient and safe. Our specialists are also good at patching up carpets which have been damaged by furniture, iron burns, pet scratching or cigarette burns. We save you the expense of having to buy a new flooring cover. Find us on our website at <a rel="nofollow" target="_blank" href="http://www.carpetcleaners-auckland.com/">http://www.carpetcleaners-auckland.com/</a> or call 09 950 7177 today.